As a Consulting Hypnotist one of the questions I am most often asked is, Will using hypnosis lose weight for me? I tell people that hypnosis can very definitely work to help them lose weight although how well it will help them depends of a couple of important points. First things first. Before I get to whether hypnosis can work for you, a fair question would be, How can I be so sure that hypnosis can help you lose weight? Proof of how well hypnosis helps people lose weight comes from both clinical evidence and my previous success in helping clients lose weight with hypnosis. It is a surprise to many people to learn that hypnosis has been tested in a variety of clinical research studies. These trials show hypnosis to be extremely helpful for people wanting to lose weight. The studies are often not well publicized, perhaps because you can not turn hypnosis into a pill and market it for millions of dollars! For example, in a study detailed in the Journal of Consulting and Clinical Psychology, 60 women were divided into groups that used hypnosis for weight loss and those that did not. Convincingly, the hypnosis weight loss groups lost an average of 17 pounds while the non-hypnosis groups lost a mere half a pound on average. Another valid concern people have is whether or not their weight loss success will last. After all, how many people have lost some weight only to put it all back on (and some more) quite soon after their initial success. Again, the clinical evidence strongly supports the use of hypnosis for a lasting effect. For example, a study reported in the Journal of Clinical Psychology followed the results of groups that used hypnosis to lose weight and those that did not. 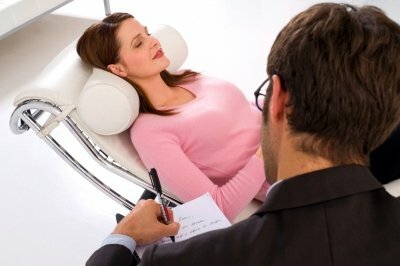 Those groups that used weight loss hypnosis encouragingly continued to get good results in a two year follow up to the original study while the non-hypnosis groups had no further results to show for their weight loss efforts. The clinical research results accurately reflect the experience that clients regularly achieved in my Hypnosis practice at the Queen Elizabeth Health Complex in Montreal. People came to see me every week with a wide variety of weight loss challenges that they desperately wanted and needed to succeed at. Some had a lot of weight to lose while for others it is those stubborn last few pounds that they just can't seem to let go of. Some people came to work with me who overeat, eat unhealthy foods, had food cravings or were emotionally driven to use food to distract themselves away from feelings they do not like (stress, boredom, anger etc.). Whatever the weight loss challenge, hypnosis made the difference for these clients. They finally achieved success in turning their weight problem around. Now that you understand the potential that Hypnosis has for helping you in a completely new way to finally achieve permanent weight loss success you may be curious about trying it for yourself. However, a word of caution. I would not work with just anyone in my Hypnosis practice for weight loss and you deserve to know why. The reason is that Hypnosis will work for you only if you really desire to lose the weight. If in truth you really could not be bothered one way or the other if you shed those unneeded pounds then hypnosis is not going to work for you. This is because you remain completely in control while in hypnosis and your mind is very aware of whether you really want to make the changes in behavior necessary to let go of the weight. It will not cooperate if you really do not care. You need to be emotionally invested in your weight loss project. Not only do you have to want to lose the weight, you have to want to do it for yourself. This means it is not helpful wanting to lose weight just to please someone else. Your mind works for you and no one else while you are in hypnosis! By-the-way, it does not matter what the reasons motivating you to lose weight. The important thing is that you have a reason or reasons to let the weight go. You may be motivated by wanting to be healthier, able to wear that new outfit for a wedding, or to look good on the beach this year. Makes no difference as long as the reasons are important to you. Are you ready to really start losing weight and keeping it off? You can start working on weight loss with hypnosis right now. Find out how by checking out the information and resource here. It can give you both an enjoyable as well as effective new approach to weight loss! Return from Hypnosis lose weight to the Weight-loss-hypnosis-montreal here. 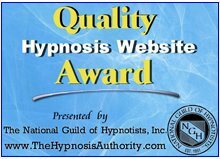 Return from Hypnosis lose weight to Hypnosis Montreal Home Page here.